Senior Partner, Webster Powell, P.C. James Webster has devoted the entirety of his legal career to the practice of Beverage Alcohol Law and has long been recognized as one of the Industry’s leading experts. Starting over 35 years ago, and continuing today at Webster Powell, P.C., the firm he founded in 2000, Jim has worked tirelessly to expand his remarkable knowledge of the Industry, using it to advocate for a strong three-tier regulatory system. Jim is a frequent speaker on beverage alcohol issues at Industry conferences and has served as the co-chairman of the American Bar Association Committee on Alcoholic Beverages. In 2005, he assisted the National Center for Alcohol Law Enforcement in training Wisconsin law enforcement agencies regarding alcohol-related incidents. Jim helped to found the Chicago Hospitality Resource Partnership, a non-profit resource group assisting Chicago neighborhoods in planning, managing and policing entertainment districts. Jim served two non-consecutive terms as the Industry Representative to the Executive Committee for the National Conference of State Liquor Administrators. In 2016, Jim was presented with the Outstanding Achievement Award for Wine and Spirits by the Beverage Retailers Alliance of Illinois. Throughout his remarkable career, Jim has been a friend and mentor to the many attorneys he’s worked with and to the clients he’s represented. 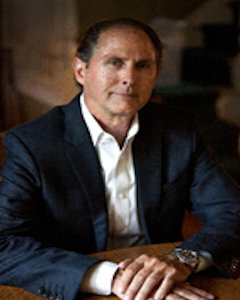 Known for his generosity of both time and expertise, Jim has lectured on the business of beverage alcohol at the University of Chicago, written extensively on such issues for CLE courses and Industry publications, and has enthusiastically accepted the role of advisor for many would-be Industry business owners and start-up enterprises. Along with his wife, Sally, in 2009 Jim established Moving Mountains, a volunteer program involving highly skilled and dedicated instructors who provide ski instruction and equipment to people with disabilities. Through Jim and his wife’s leadership, Moving Mountains has become the largest adaptive ski program in the Midwest. Jim was born in Two Rivers, Wisconsin. He received his B.A. from University of Wisconsin and his J.D. from DePaul University. Jim and Sally live in Chicago, where they raised three sons, two of which work in the beverage alcohol industry, with the third serving as an officer in the United States Marine Corps. In addition to his legal career, Jim is an avid skier and boater. He and his wife also own and operate a year-round resort in Michigan’s Upper Peninsula.